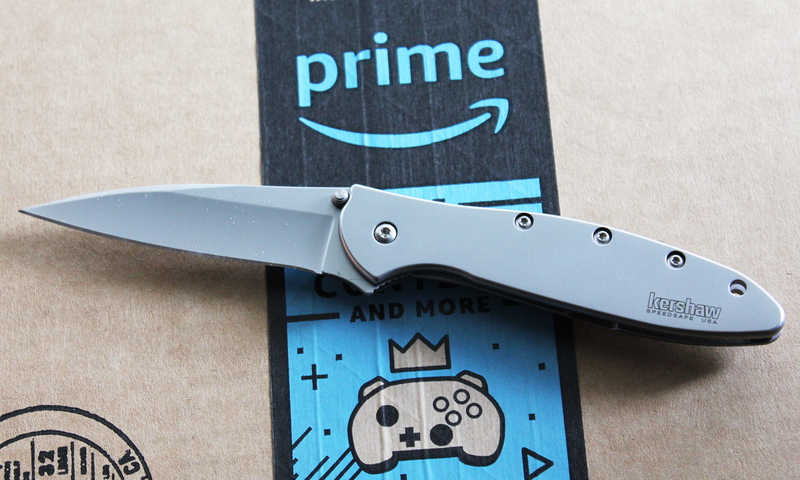 There are hundreds of reasons not to buy knives from Amazon. And now Amazon has started preventing law-abiding citizens from buying and shipping knives to certain states. To be honest, I’m not entirely sure how long this has been going on or how widespread it is, but a customer brought it to our attention. Here’s the lowdown. 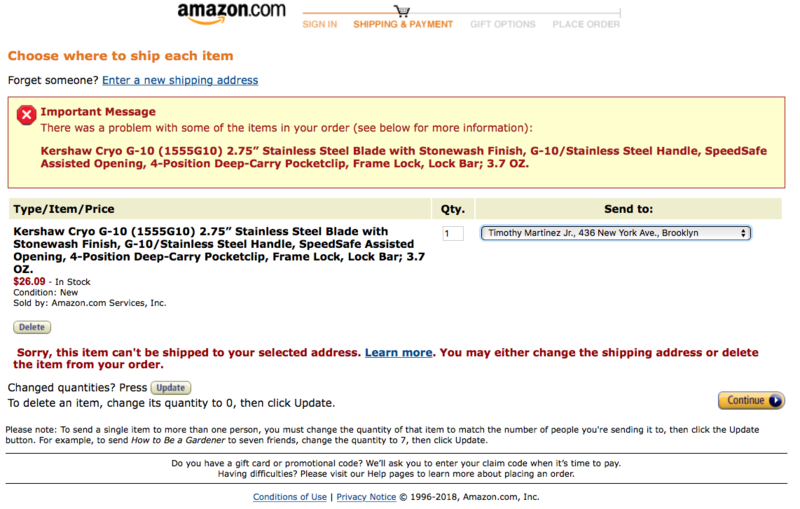 A customer tried to purchase a Kershaw Link from Amazon and have it shipped somewhere in Long Island, New York. However, upon checkout, they got a notice saying the item “can’t be shipped to your selected address.” So, he wisely bought the folder from Knife Depot instead. After I did a little digging, I found one of the earliest incidence of a restricted knife purchase was in 2012 on a forum post at NY Firearms. That was chocked up to a possible error. The issue didn’t seem to start gaining more attention until late 2017 when someone posted on Blade Forums about a knife purchase not going through. However, this one was from Massachusetts. I did my own little experiment trying to buy and ship a Kershaw Cryo G-10 to an address in New York City. I thought it could just be because the address was in New York City so I picked an address in Central New York (Syracuse, to be exact). The same result. Because I had heard the same thing about Massachusetts, I tried to buy and ship the Cryo G-10 to an address there. It was also a no-go. I wanted to figure out how far this extended, so I did a few experiments in neighboring states. Connecticut and New Jersey were not restricted. I didn’t do every single state in the country, but it seems like New York and Massachusetts are the only ones affected. My next investigation was to find out which knives are affected. It was obvious that Amazon appeared to be targeting assisted-opening knives as evident by the restriction on the Link and Cryo. I tested the theory on some of the assisted openers from other brands like Gerber. The Gerber Outrigger, which features an assisted-opening blade, was also restricted. So I threw some softballs and went for the Fallkniven U4, which has a small lockback blade, and the Gerber LST. Both knives were OK to ship to New York and Massachusetts. 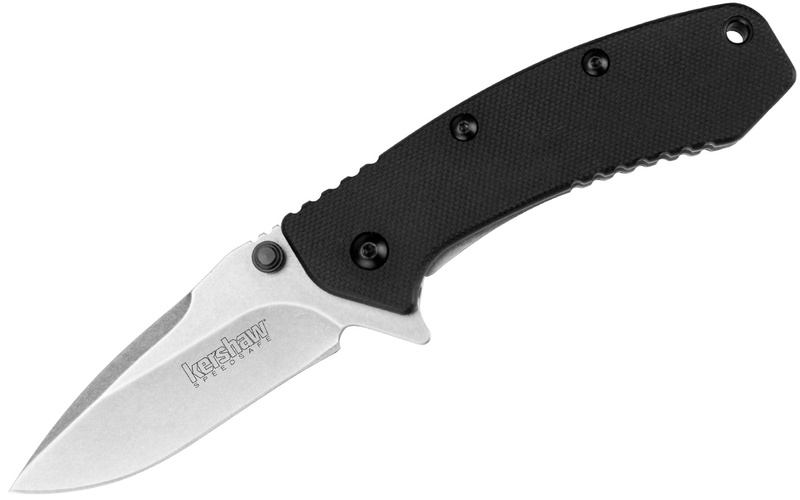 But when I tried to buy the Kershaw Skyline, a manual-opening knife with a flipper, it too was restricted. Other Kershaw knives like the Pub and Shuffle were fine, however. 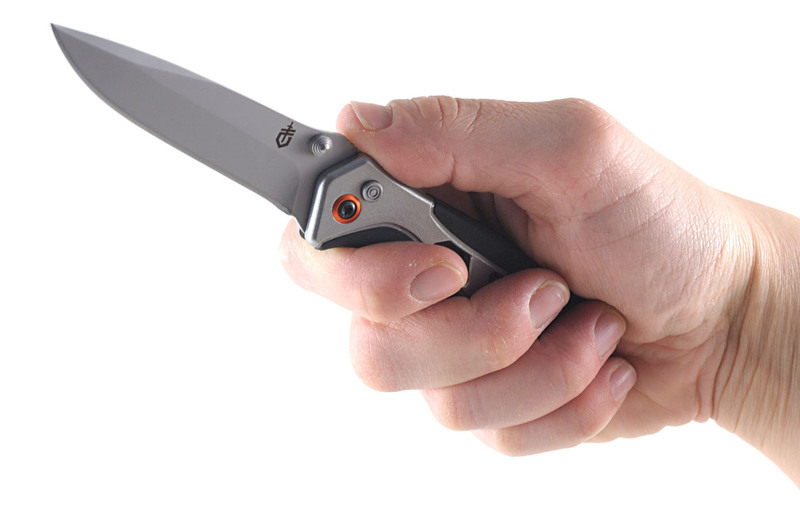 It seems like Amazon is specifically targeting assisted openers and some flippers because a Kershaw Emerson CQC-6K (a manual opener with a Wave feature) is A-OK but a Kershaw Chill (a manual opener with a flipper) is not. Thank you for your email, we sincerely appreciate your interest in Kershaw knives! We apologize that you have had difficulties in completing recent purchases from Amazon for our products. We are aware of the issue and we are working with our vendor relations team at Amazon to have this corrected. In the meantime, we are asking our customers who reach out & are willing, to follow the attached instructions on filling a ‘customer service issue’ with Amazon. There have been no changes on our end, no new laws introduced, and we are just as concerned as our consumers with the restriction that Amazon has put in place regarding the State of NY. We hope this information helps! Thank you again for reaching out to us, we are hopeful that if enough consumers voice their concerns it will lead to a positive outcome with Amazon! Have a great day! So this raises the question: What the heck is going on? The fact that Amazon is restricting the shipment of both assisted openers and some manual openers is beyond bizarre. The assisted openers are clearly allowed under the rules but “spring-loaded knives” is kind of a strange term to use for prohibited knives, especially since there is already a line about automatic knives or switchblades. As Kershaw noted, there have been no new laws in New York or Massachusetts that would lead to such a restriction. New York City has had some troubles with classifying tons of legal knives as gravity knives under a vague and antiquated law. It’s possible Amazon didn’t want to get in trouble with the city so it restricts shipping similar knives to the entire state. However, that doesn’t explain the restriction on Massachusetts. Neither state outright bans assisted openers but there is also no statewide preemption law so it’s possible some municipalities banned the knives. I reached out to Amazon, but I only got a roundabout reply that did not directly address my question. I’ll update if I receive an actual response. As of now it remains unclear why Amazon is doing what it’s doing or how wide the problem extends. However, let this be yet another gentle reminder to get your knives at a dedicated knife shop like Knife Depot. Yep. I’ve recently had the same issue. It was a knife that you can’t get anywhere else. (A Tangram Progression) They told me that anything with a Flipper tab is illegal in NY state. It isn’t. I contacted them, I contacted Tangram who argued with them. End result was basically “We’re not going to change a thing.” I had it sent to a friend who is sending it to me. Yes. I’ve had similar or worse restrictions/refusals from Knife Center and Blade HQ. So I may look, but I never/hardly ever purchase from them. If I can’t find the model I want anyplace else, I will have it mailed to me at a friend’s house in another state. The Amazon restriction enforcement is more recent, I think. The laws are often not clear in that you are permitted to own certain knives and use them at home, but you cannot carry them. It’s not a rational process. liberal pukes, always trying to “control” everyone else but themselves. Umm, it isn’t conservatives that are restricting your ability to buy knives. Robert is correct. I can’t wait until I can move out of this highly taxed and regulated liberal nanny state. Part of the problem is that most people are not aware of the different types of knives and most ignorantly think back to the switchblade. Anything that “pops open” to them is like a switchblade and thus they apply the negative connotations of switchblades as being illegal knives used by assassins, mobsters or gang members and low life thugs. I agree that the laws are confusing and should be clear and in my opinion should be the same for all the states. There really isn’t any logical reason for blade length restrictions and open carry of larger blades makes sense. Realistically, why carry or wear a machete if the owner was up to no good? Open carry means being honest and not having anything to hide. And with respect to folding knives it’s a practical matter to carry them in a pocket. I feel that we have certain rights and privacy is one of them. I don’t regard a knife in a pocket or bag as concealed. It’s also prudent and our right to be low key. I don’t have to tell everyone I have cash on me do I? What one carries is nobody else’s business. And if a cop asks, the owner of a knife can just tell them they have one. The assumption is that a knife is a weapon, but not always so. Many of us use them as tools and not for self defense. There should be a distinction, ah but of course common sense is not always prevalent or a consideration of the anti-gun, liberal left. Short fixed blades worn around the neck or on a belt are out in the open, although some people like to cover them up with a coat or jacket, or it’s not even done on purpose-people just like to stay warm. I feel that being low key is being respectful and not sneaky, but a belt knife can be seen as open carry, brandishing or concealed if a jacket is worn. It should all be clear. I also tried to order a COLD STEEL”TRIPLE ACTION “that was to be sold used. They didn’t let me have it. (I would have EDC’d that one.) I’m thinking municipalities are just tired of trying to figure out the good from the bad. They would rather just get rid of the guns and all the other weapons and just have an easy job. Then there wouldn’t be random shootings at school; movie theater; church; or unarmed people being killed and the rain of bullets on hundreds of concert goers. Maybe then people will really hide what they have until they really need it. Or:they can stop the stupid out bursts of rage related to nothing and show that having potential peace instead of anticipation of violence with glee because: “I’m trained to kill!” isn’t relevant. How about this. Any anything placed on the ground and left there can only trip you up if you don’t notice it and fall because of it. So like you say “GUNS DON’T KILL PEOPLE!” But if somebody aims and pulls the trigger. That’s the problem. But I digress. Take care MF’s. The folding knife is extremely useful item in our diurnal life. So, it should be handy, relaxed to carry and easily accessible when to work in need. I ran into the same problem today with a Kershaw Cryo. I live in Massachusetts. When I spoke with an Amazon rep about the order problem (not specifically about the knife aspect of the order), she instructed me to use the Amazon Locker option. I found a couple relatively close. When I try and send the purchase to one of the lockers, the routine doesn’t allow me to advance past the address selection page. No big red warning banner like when I pick my home address, but still cannot complete the check out process. Disgusting service by Amazon. I know knives can be cheaper on Amazon, but I’d avoid it at all costs. I’m working on another post about more shady practices from Amazon concerning counterfeits. I got this error trying to ship two palette knives to NH. PALETTE KNIVES. I assume the order must have been blocked because the item has knife in the title but its still confusing to me because they don’t have to be flipped open or anything. They’re just regular palette knives. Just had this problem when trying to buy 2 assisted open knives.. Sorry to hear that. Your best bet is to buy from somewhere else.